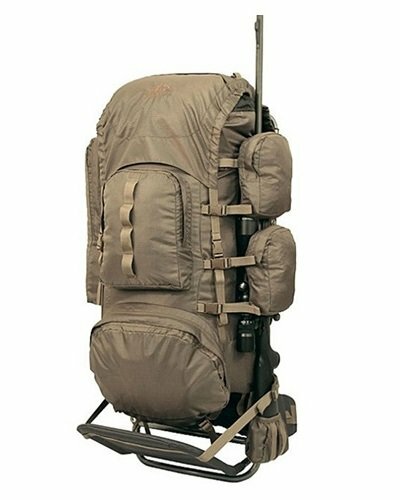 The ALPS OutdoorZ Traverse EPS Hunting Pack is a hunting pack manufactured by ALPS OutdoorZ, a company that has been delivering a variety of affordable and quality hunting packs for a number of years now. The Traverse EPS comes with a number of great features that can make your hunting expedition easier. It comes with cool features such as a padded pocket for your spotting scope and a weapon carrying system to hold your hunting rifle and bow. In addition to its numerous cool features, the Traverse EPS can be expanded for more space and is great for hauling out meat. 1.12.1 Q. Can you attach more gear to the outside of the Traverse? 1.12.2 Q. Can the Traverse hold a crossbow? 1.12.3 Q. What does the EPS stand for? 1.12.4 Q. Is the Traverse waterproof? 1.12.5 Q. Where is the blaze orange rain cover located? 1.12.6 Q. Does the Traverse EPS work for a small-framed person? 1.12.7 Q. Can you use a water bladder with the pack? 1.12.8 Q. Can you attach something as large as a sleeping bag to the Traverse? In this ALPS OutdoorZ Traverse EPS Hunting Pack Review, we will be taking a look at some of the most prominent features of the pack as well as some of its advantages and disadvantages. The review shall also cover some of the most frequently asked questions about the Traverse EPS. 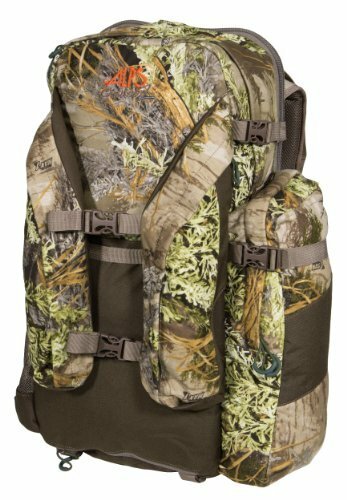 The ALPS OutdoorZ Traverse EPS Hunting Pack comes in two colors: Realtree Xtra and Realtree MAX-1. The capacity of the bag’s main compartment is 3300 in³ / 54L. When the bag is expanded, it offers an additional capacity of 1200 in³ / 54L. The total capacity of the bag is therefore 4500 in³ / 74L. With a total capacity of 4500 in³ / 74L, the bag has a weight of 6 lbs. 14 oz when empty. The bag has a “hauling mode”, which makes it easier for the hunter to haul out decoys, additional gear, or meat. The hauling section is designed in such a way that it doesn’t sweat, thereby keeping your meat cool and preventing it from spoiling. The bag comes with a weapon carrying system that easily accommodates your bow or rifle. Since the weapons are held in the expandable pocket, they can be easily accessed at all times. One of the prominent features of the ALPS OutdoorZ Traverse EPS Hunting Pack is that it is makes carrying heavy loads comfortable. This is possible because of its padded waist belt that comes with a PE outer shell and its “H” frame design, which is built with tubular aluminum that is not only strong but also light. In addition to that, the Traverse comes with a suspension system, which is very important when it comes to hauling out heavy meat or other heavy gear. All these features work together to make the Traverse EPS very comfortable for carrying heavy loads. The bag comes with a pocket that was purposely designed for holding your spotting scope while at the same time keeping it protected from a number of things including abrasion, sunlight and dirt. It is worth noting that the scope pocket that holds your scope is decently padded, which gives extra protection to your scope. The Traverse EPS comes with an integrated waterproof blaze orange color rain cover that protects the items inside the pack from the rain. When you are carrying very important gear in your backpack, you can’t afford to take any risks with the rain. It is worth noting that even when a backpack is water resistant, rain can still get inside during a downpour through the zippers and the seams. This is why it is important that you have a backpack that comes with a rain cover. The rain cover that comes with the Traverse EPS is capable of giving it proper shelter during a downpour, thereby protecting its contents from rain damage. The main compartment is very spacious, which gives you enough room to store as many essential items as possible. It is well built and durable. The waist belt is not only rigid but also heavily padded. You can alter the torso to fit nearly any body size, small or large. It is hydration compatible and is capable of accommodating a hundred ounce water bladder. The Traverse EPS is very helpful in hauling out meat after a fruitful hunt. The shoulder straps can sometimes hurt your shoulders when you carry very heavy loads in the pack, because they are not wide enough and do not have a lot of padding. It is a little bulky and heavy. The weapon holster (gun/bow holder) often doesn’t hold down your rifle or bow very tightly or securely. Q. Can you attach more gear to the outside of the Traverse? A. The bag comes with side compression straps which you can use to attach extra gear if you need more room. Q. Can the Traverse hold a crossbow? A. Yes, you can put your crossbow in the gun/bow holder and use the compression straps to strap the crossbow to the backpack. Despite this being possible, it is important to know that the crossbow doesn’t fit as securely as a rifle or a bow would fit. Q. What does the EPS stand for? A. It stands for “Expandable Pack Section”. Q. Is the Traverse waterproof? A. The pack itself isn’t waterproof but it has a blaze orange rain cover built into it that is meant to be used in poor weather conditions such as rain and snow. Q. Where is the blaze orange rain cover located? A. You can find the blaze orange rain cover in the pack’s bottom compartment. Q. Does the Traverse EPS work for a small-framed person? A. It absolutely works for a small-framed person. Regardless of your size, the Traverse can fit you thanks to the fact that the straps are easily adjustable. Q. Can you use a water bladder with the pack? A. A water bladder can absolutely be used with the pack. In addition to having a pocket for a water bladder, the Traverse EPS has a cutout meant for a hydration tube. Q. Can you attach something as large as a sleeping bag to the Traverse? A. Yes it is possible to attach your sleeping bag underneath the Traverse. It is also capable of carrying other larger items such as camera arms and tripods. The Traverse EPS Hunting Pack comes with plenty of great features that help you make the most on each hunting trip you venture on. 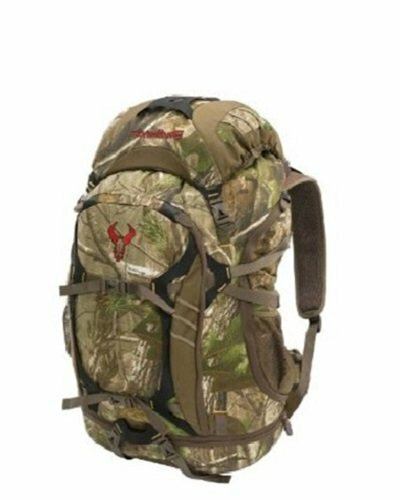 We hope that upon reading this ALPS OutdoorZ Traverse EPS Hunting Pack Review, you will consider this bag next time you find yourself in the market for a good hunting pack. For a few other great hunting backpacks, read the Top Hunting Backpack Reviews with Buying Guide.